Before you toss stale croissants, try one of these creative ways to re-purpose them. 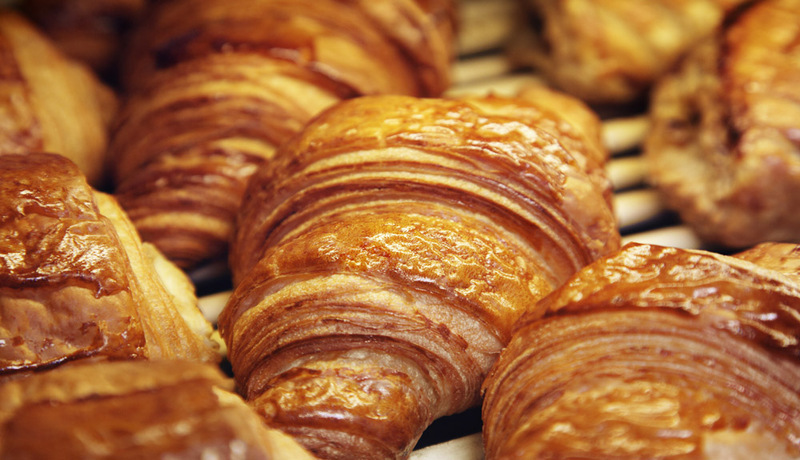 Croissants are buttery French pastries made from layers of tender phyllo dough that melt in your mouth. Get extra mileage and long-range deliciousness with the simple recipes below. Croissants are so rich and buttery that they make the perfect base for a delectable bread pudding. 1) Cut leftover croissants into small cubes and place in a large mixing bowl. 2) Combine two cups of whole milk with two medium eggs and whisk until smooth. 3) Add 1/2 cup of white sugar and a half teaspoon of vanilla flavoring to the custard mixture and pour over the croissants. 4) Divide your croissant and custard mixture into six ramekins and sprinkle the top of each ramekin with one-half teaspoon of a sugary cinnamon mixture (one teaspoon cinnamon and one tablespoon sugar). 5) Bake in a 350-degree oven until the bread pudding is set. Insert a toothpick or single piece of uncooked spaghetti into the center of the bread pudding to test for doneness. 6) If the spaghetti/toothpick comes out wet, your pudding is underdone. 7) Cook longer and test again. Your spaghetti should come out bone dry. 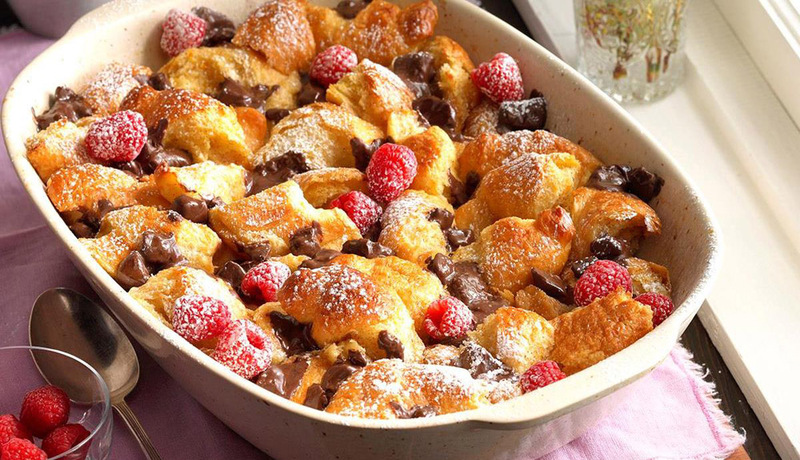 8) *optional* Top bread pudding with sliced fruit or dark chocolate pieces. 1) Chop leftover croissants into uniform cubes and pop them onto a baking sheet in a pre-heated oven set at 400 degrees for 10 minutes or until golden brown. 2) Serve these tasty morsels on top of your favorite homemade or canned creamy soup or chowder or atop a nice crisp green salad for low-cost, low-cal lunch or light dinner. 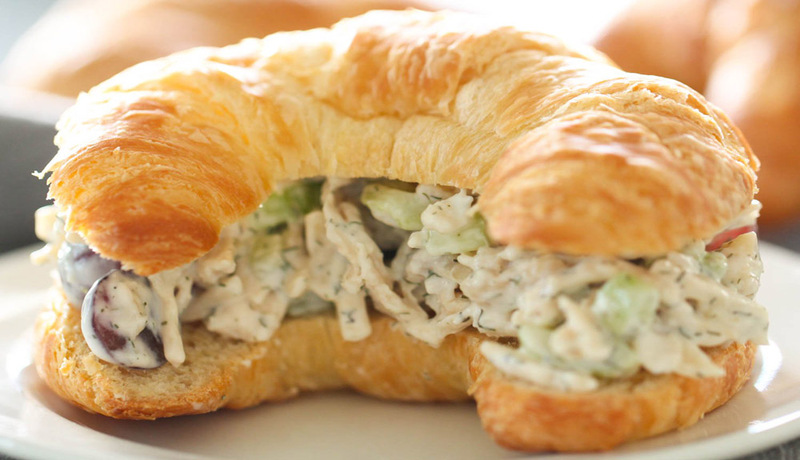 Combine your favorite chicken salad recipe with leftover croissants for a scrumptious appetizer. 1) Make a quick salad from store-bought rotisserie chicken combined with a good quality salad dressing or mayonnaise. 2) Add a little crunch with finely chopped walnuts or pecans, minced grapes, and a touch of garlic or onion powder. 3) Fill a pastry bag made for icing with the chicken salad mixture and pipe just enough salad to fill the interior of each croissant. 4) Serve them whole or cut into halves for a pretty display. Your stale croissants can do double duty as a crust for savory or sweet pies. 1) Fill your bottom crust with fruit or cooked roast beef, pork or chicken with vegetables and gravy. 2) Cut leftover croissants in half lengthwise and arrange them in a circular pattern–much like spokes on a bicycle wheel–atop your favorite pie. 3) Brush the top of the croissant crust with an egg wash to create a beautiful glaze as the pie bakes–usually 15 to 30 minutes in a 350-degree oven. Easily everyone’s favorite, the chocolate éclair can be tricky to make from scratch but not when you use stale croissants instead of making a Pate a Chou, a traditional French cream puff pastry. 1) Melt a pound of dark baking chocolate in a double boiler and add 1 cup of confectioner’s sugar to sweeten. 2) Set the chocolate aside. 3) Fill the croissant with whipped cream using a pastry bag and store-bought whipped cream filling. 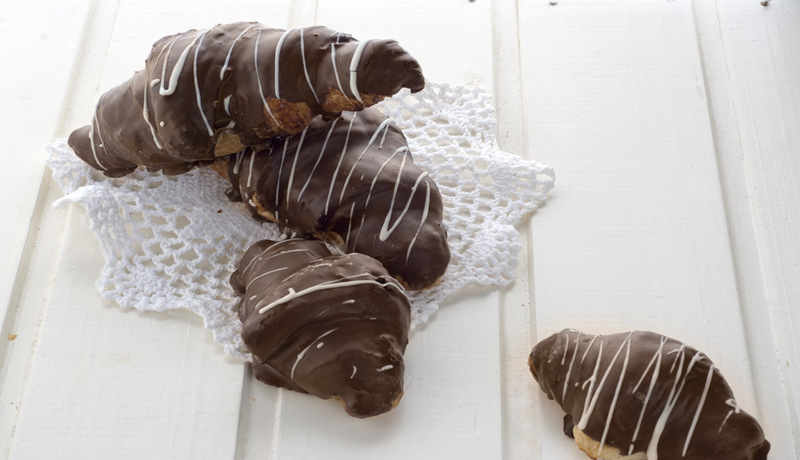 4) Dip the tops of each croissant into the chocolate, completely icing the top side. 5) Arrange the éclairs on a piece of waxed paper until the icing hardens and your quick-and-easy chocolate éclairs are ready for your guests to enjoy. 1) Slice or break leftover croissants into one-inch pieces, sprinkle with a generous amount of garlic powder and Italian herbs and place leftover croissants on a baking tray. 2) Place the try in the middle rack of a 400-degree oven and allow croissant pieces to crisp for about 15 minutes. 3) Remove from the tray and allow the pieces to cool at room temperature. 4) Serve Garlic Crisps with pizza or Marinara sauce or enjoy them solo as a tasty snack. 1 Day-old croissants work beautifully for a breakfast scramble. Delight family and friends with an all-in-one hearty meal that will have them asking for more! 1) Line the bottom of an 8-inch round non-stick baking pan with stale croissants. 2) Make an omelet mixture using enough eggs to feed two per person, adding grated mild cheddar cheese, chopped green bell pepper, and onion. 3) Brown and thoroughly drain a half pound of sausage and add it to the egg mixture. 4) Pour the omelet over the croissants and bake in a 350-degree oven until the eggs are almost done. 5) Grate some more mild cheddar cheese and sprinkle over the top of the omelet and continue baking until the cheese is melted and golden brown. 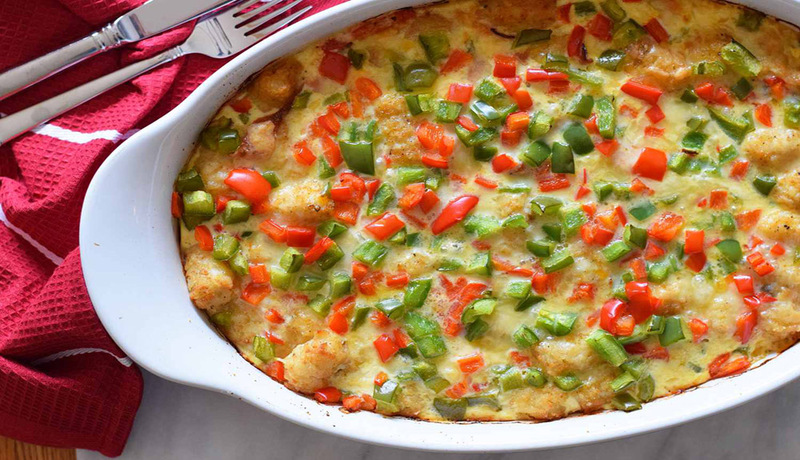 6) Serve piping hot for breakfast or brunch. 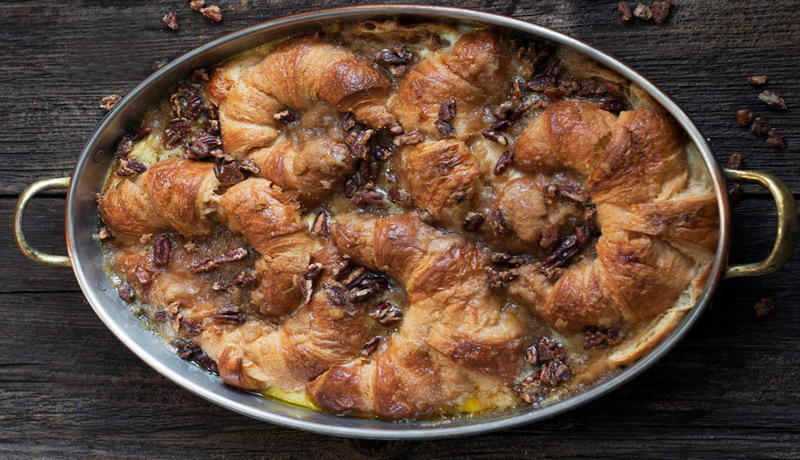 Transform stale croissants into a sinfully rich sticky bun. 1) Drizzle buttery buns with honey, melted caramel, and chopped walnuts or pecans. 2) Sprinkle with sugary cinnamon and bake in a 35-degree oven for 10 minutes. 3) Drizzle more honey and enjoy. You can always re purpose a lowly stale croissant by toasting and making bread crumbs. A toasty croissant crumble can be used as a savory element on top of a mound of mashed potatoes, as a topping over macaroni and cheese casserole, or to complement a potato gratin. 1) Spread leftover croissants on a baking sheet and bake until crisp at 400 degrees. 2) Place the dried croissants in a blender or food processor and pulse lightly for coarse crumbs. 3) You can add savory seasonings like garlic powder, basil, oregano, or grated parmesan. For a sweeter blend – a perfect topping for pies, pastries, cookies or ice cream–add honey, brown or white sugar, or allspice. Poultry lovers will love rich, buttery stuffing made from leftover croissants. 1) Chop a green bell pepper, onion, and celery and drying out five to six large croissants in a 400-degree oven. 2) Removing excess water from the croissants gives them a better texture and breaks down some of the gluten so your stuffing won’t be gummy. 3) Crumble the croissants in a large mixing bowl, sauté the pepper, onion, and celery and add them to the dry croissants. 4) Add enough chicken or turkey broth to your bread mixture along with one large beaten egg. 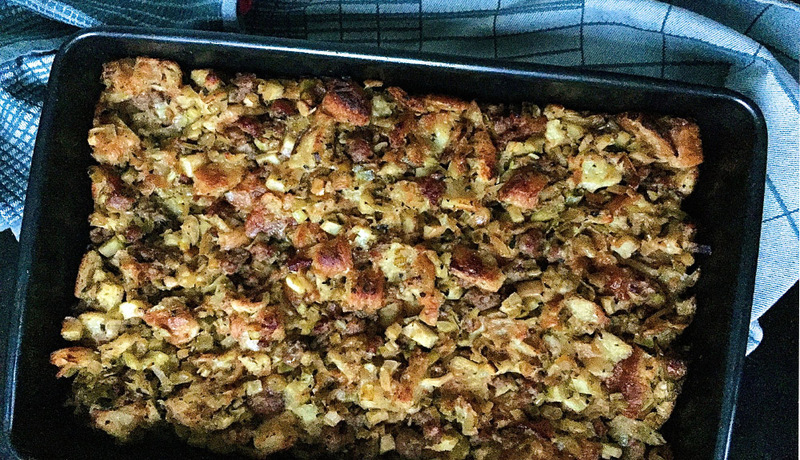 5) Season the stuffing to taste with fresh or powdered sage, salt, black pepper, or thyme. 6) Turn the dressing mixture into a large three-inch deep casserole dish and bake at 375 degrees until brown on top. The next time you find yourself with a handful of stale croissants, don’t toss them, try these quick and easy recipes to re-purpose all that buttery goodness and save a little cash.